Some roofing issues can wait for a solution—but some simply can’t. If you need emergency roof repair, a quick response is vital to prevent further damage and maintain the safety of the home. Here’s what you can expect from these services. Not every bit of roof damage needs an urgent response, so how can you tell the difference? There are three main issues that need to be addressed without delay. Water Is Getting In: If you’re experiencing serious leaks too large to manage on your own, your roofer can at least put a temporary covering in place until the weather clears enough to work on the roof. A Large Area Is Affected: While a few shingles aren’t an emergency, a large patch of missing tiles that leaves the area underneath exposed may be. Describe the scale of the damage as accurately as you can to get the best advice for emergency roof repair. 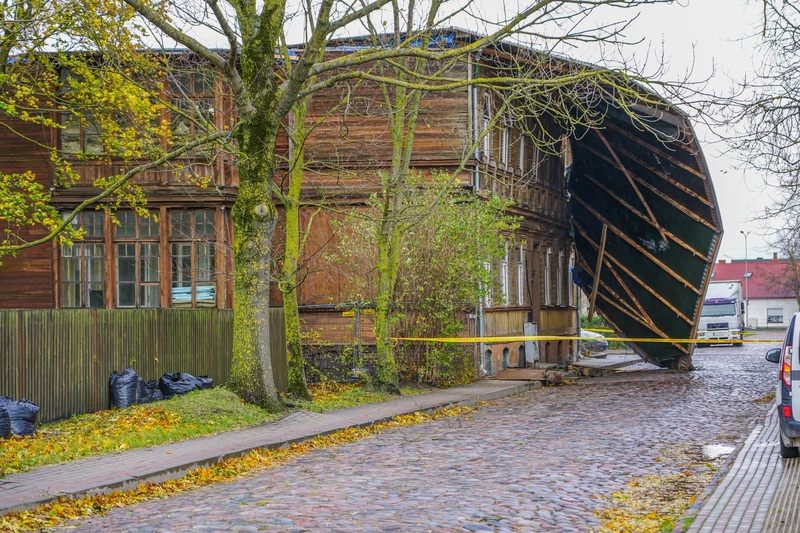 There Is Structural Damage: If you can see a sag or break in the roof, if timbers are exposed, or if part of your roof or ceiling has caved in, your home is in a dangerous state and could potentially collapse. This is the most serious type of roofing emergency. When your roof is severely damaged, safety needs to be your first concern. No one should go up on the roof or try to inspect or repair it while the weather is still actively stormy. If there are severe leaks, you can call a local roofing company to put a tarp in place to keep most of the rain out. When conditions calm down, carefully get a look at your roof—preferably from the ground—so you can explain the problem to a roofer. They’ll send a professional for a more in-depth inspection, which gives you the information you need to make emergency roof repair decisions and to contact your insurance company. Many good roofers will work directly with your insurance company to make sure your home is returned to a safe and livable condition so the process is easier for you. If you find yourself in need of emergency roof repairs in Dothan and Enterprise, AL, choose Custom Roofing and Construction. Serving Dale, Henry, and Houston counties, they draw on 23 years of experience to provide prompt, high-quality repair services and ensure customer satisfaction. To take advantage of their expertise, contact them at (334) 790-4418 or visit them online.